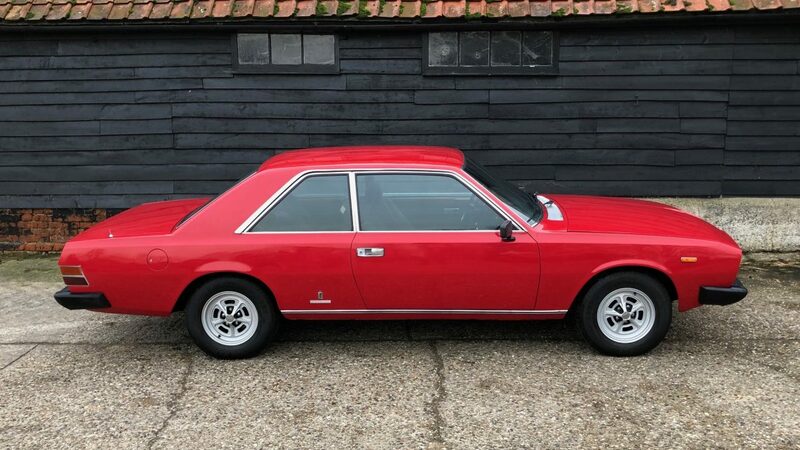 When Pininfarina say a design is one of the best they ever did, you know it is something special! Such is the case with the Fiat 130 Coupé. Simplicity was its strength. The 130's clean lines gave it gravitas ... as befitted a luxury car. Sadly, the Fiat brand-name simply did not have the cachet of, say, BMW or Mercedes-Benz. The 130's imposing exterior was matched by the opulence within. The velour seats were drawing-room dapper. Veneer door cappings set off the electric windows, to a tee. There were even dual-tone 'town and country' horns! The 130 provided plenty of space for its four well-heeled occupants. Comfort was its raison d'être. Power steering pampered the driver. As for the passengers, independent suspension ensured a smooth and relaxed ride. Performance-wise, too, the 130 was no slouch. Top speed was 118mph. The 3.2-litre V6 gave 165bhp. Torque was plentiful. The 'box was a Borg Warner 3-speed auto ... with an optional 5-speed manual. Mechanically, then, the 130 was solid and dependable. But, it was aesthetically that the car really shone. Classic Italian styling cues were abundant. In commercial terms, though, the car was hard done by. Fiat, of course, has a fine and prestigious history. But, had it been built by a 'bigger' marque, the Fiat 130 Coupé would have received more of the plaudits it deserved.